The U.S. Fish & Wildlife Service has published a Federal Register notice informing the public about proposed amendments to the CITES Appendices and proposed resolutions, decisions, and agenda Items that the United States might submit for consideration at the 18th Meeting of the Conference of the Parties (CoP18), and to provide information on how agencies or bodies can apply to attend CoP18 as observers. Public comments will be accepted until November 30, 2018. Click here to read the Federal Register notice and learn how to submit comments. The Convention on International Trade in Endangered Species of Wild Fauna and Flora (CITES) is a treaty agreed to by 182 nations and the European Union (referred to as “Parties) that protects species from becoming endangered or extinct because of international trade. Every two to three years, a meeting of the Conference of the Parties is held to review, discuss, and negotiate changes in the implementation of CITES, including changes in protections for certain species. 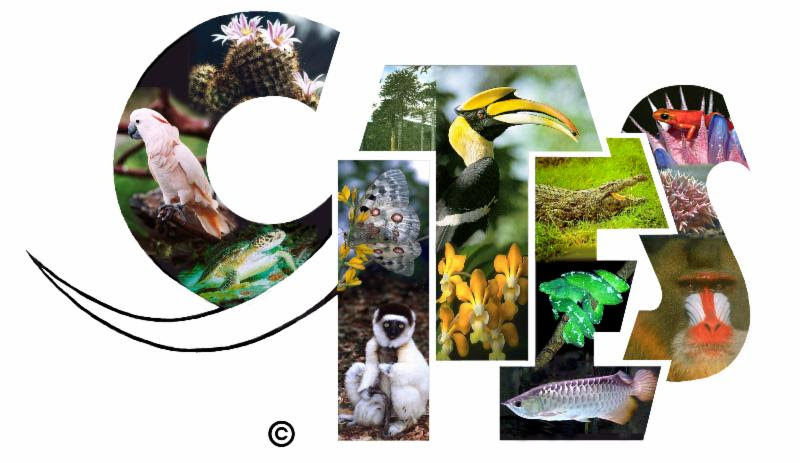 CITES CoP18 will be held in Colombo, Sri Lanka from May 23 – June 3, 2019. How can I contribute information or ideas for CITES CoP18? We’re committed to conducting an open and transparent process as we prepare for CoP18 that considers the interests of the public, stakeholders, other federal agencies, and Congress. We will publish a series of Federal Register notices to solicit public input on the development of U.S. proposals, documents, and negotiating positions for CoP18. This process helps us to develop robust proposals and positions by taking into account a wide variety of views and anticipating potential implementation and enforcement challenges.